Painting and Mixed Media students from Ms. Kopf’s and Ms. Schorsch’s classes at OHHS are participating in the “Art in Root” program, through which they will receive one to two visits from a Great Parks’ interpreter with a native animal for natural history presentation, as well as a future trip to the parks to sketch the flora and fauna in our area. 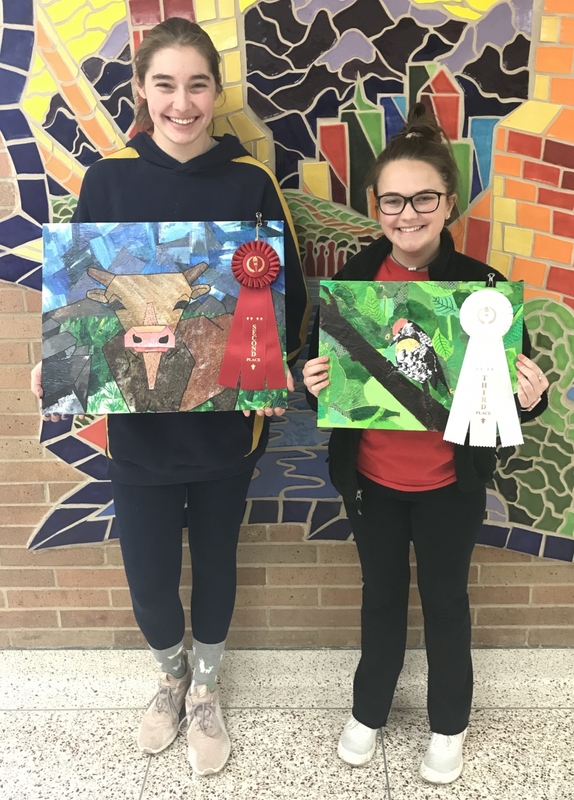 Students generated artwork based upon the December visit and selected artworks that were displayed at the regional art exhibitions. Works exhibited at Miami Whitewater for the regional exhibition were juried by local artists Ann Geise, Mary Lou Holt, Linda Bittner and John Agnew. Congratulations to the students’ whose work was juried and selected for the exhibition titled “Between the Miamis: Great Art for Great Parks” which will take place at Sharon Woods in April 2018. The students’ worked with be displayed alongside the artwork of judges and a final jurying of works will take place during the exhibition. There will be an opening reception on Friday, April 13 from 6:00 - 9:00 p.m. and all are invited to attend!